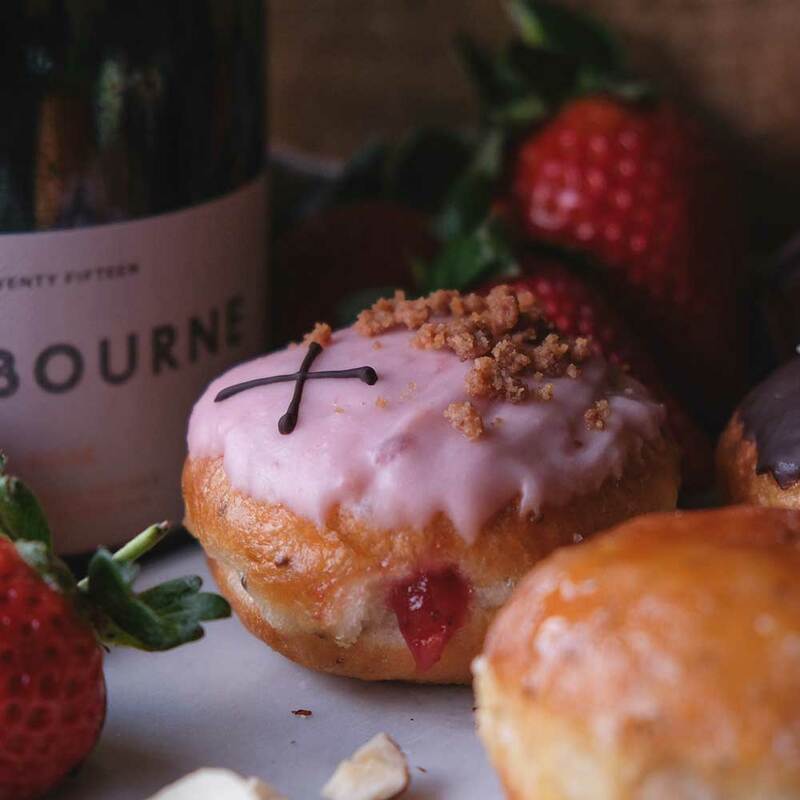 Our vegan sourdough featuring a homemade glaze and compote filling, made with Gusbourne’s vintage sparkling rosé & strawberries, and finished with our signature chocolate cross. Our vegan sourdough filled with a tangy banana cream custard, topped with a homemade Guittard dark chocolate ganache and crushed hazelnut pieces. Our take on the crème brûlée – our vegan sourdough filled with a smooth vanilla bean custard, then blowtorched for a crisp caramel topping. 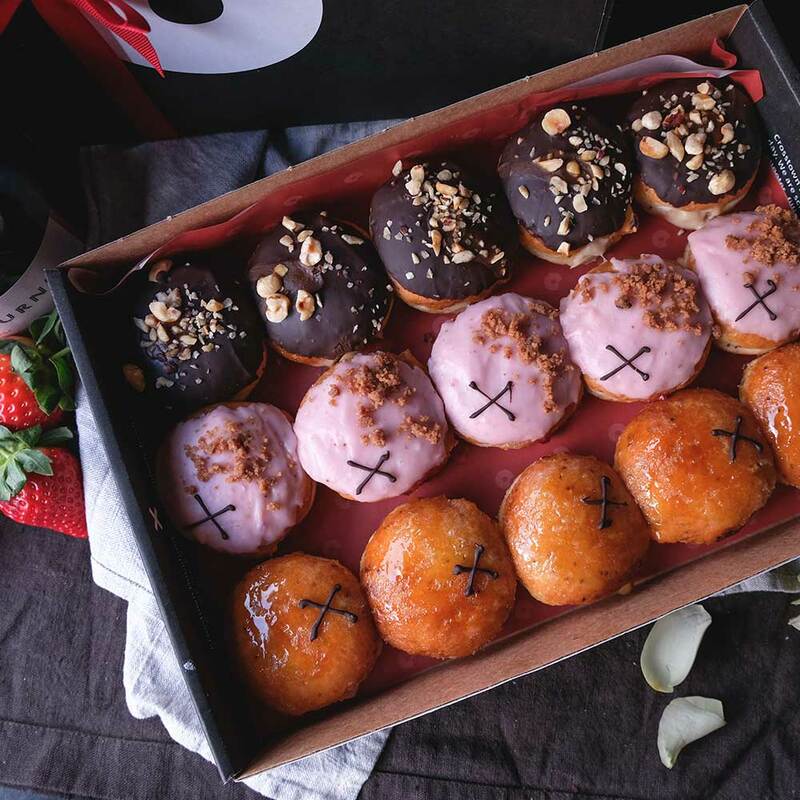 Our Vegan gift box contains five of each limited edition Valentine’s Day flavours with the option to add a custom gift note and ribbon. 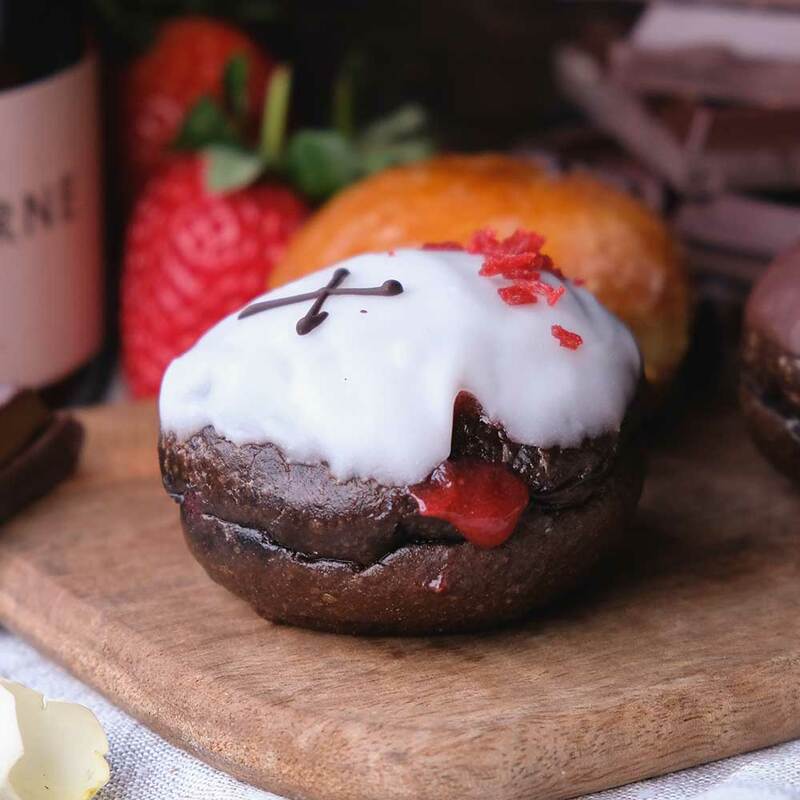 Our chocolate sourdough featuring a homemade glaze and compote filling, made with Gusbourne’s vintage sparkling rosé & strawberries, and finished with our signature chocolate cross. 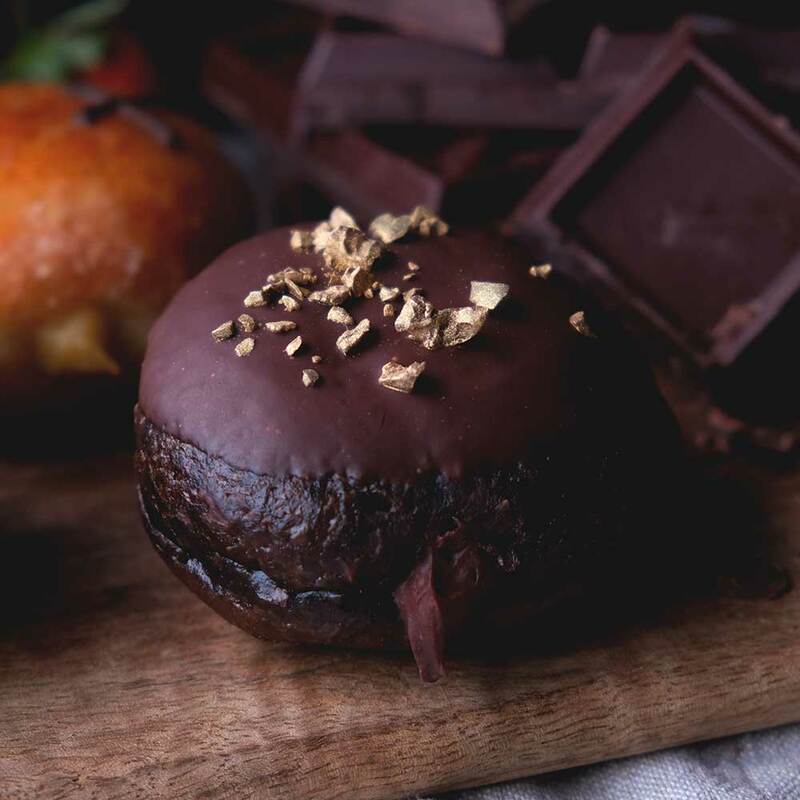 Our chocolate sourdough filled and topped with our hand-crafted chocolate ganache, made using Guittard’s limited edition 150-year anniversary Eureka Works chocolate, and finished with gold cocoa nibs. Our take on the crème brûlée – our signature sourdough filled with a smooth vanilla bean custard, then blowtorched for a crisp caramel topping. 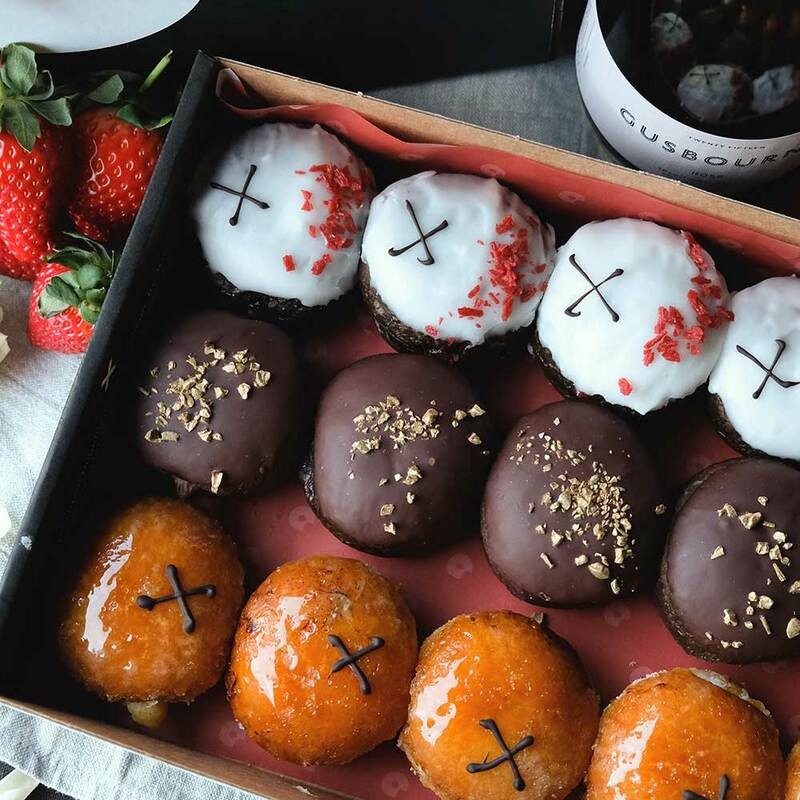 Our gift box contains five of each limited edition Valentine’s Day flavours with the option to add a custom gift note and ribbon. Available 14th February at all Crosstown locations through the city. Order online for guaranteed delivery. Find your nearest Crosstown here. 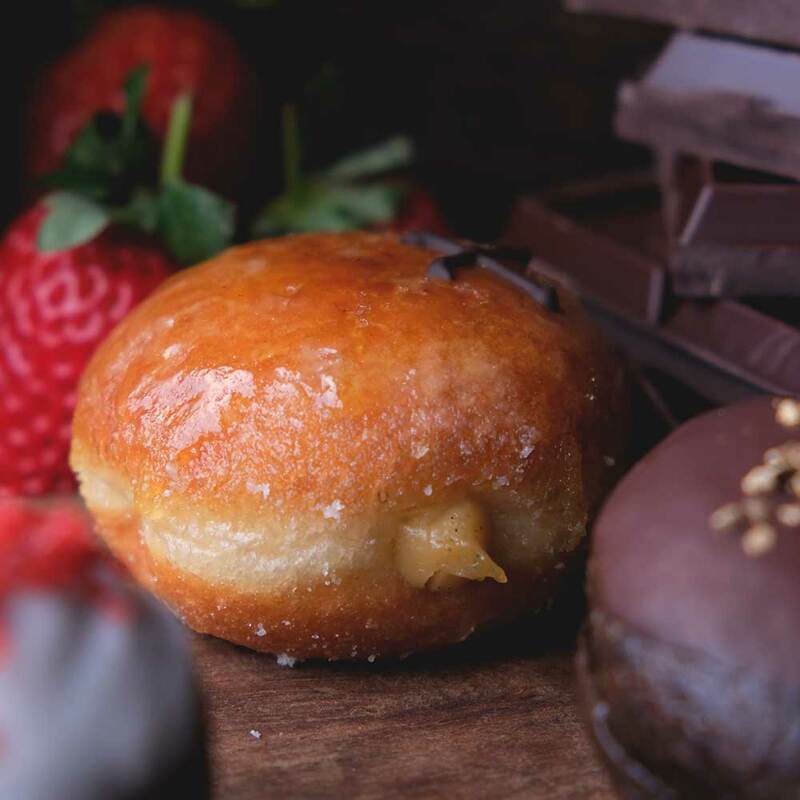 Crosstown prides itself on utilising the best quality ingredients whilst making everything in house – whether a jam, compote, glaze, filling or topping. Read our full allergen information here. 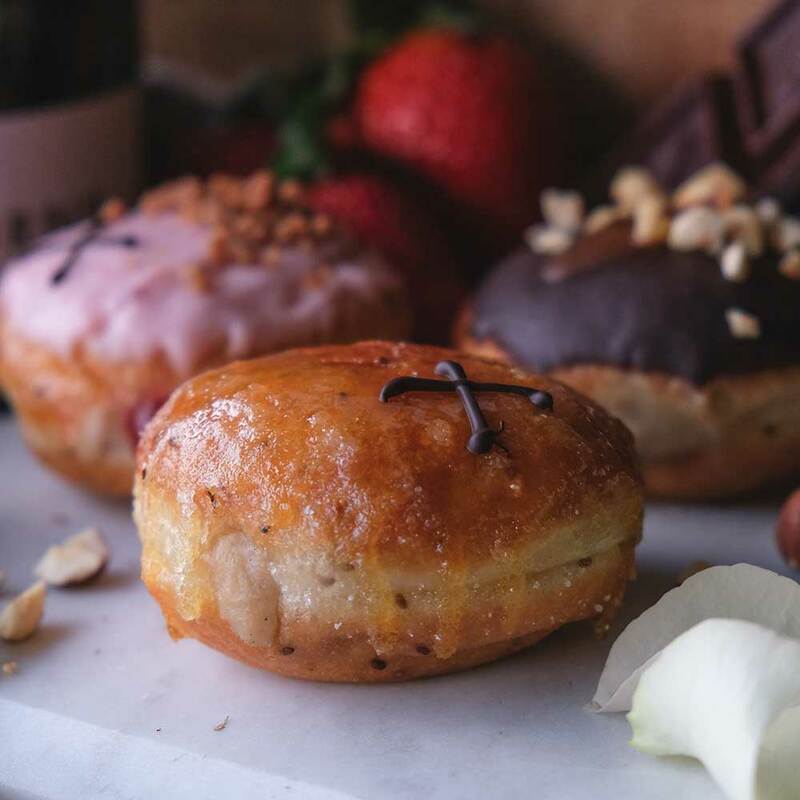 Our bakery processes try to ensure there are no cross-contamination between the vegan and original sourdough doughnuts. 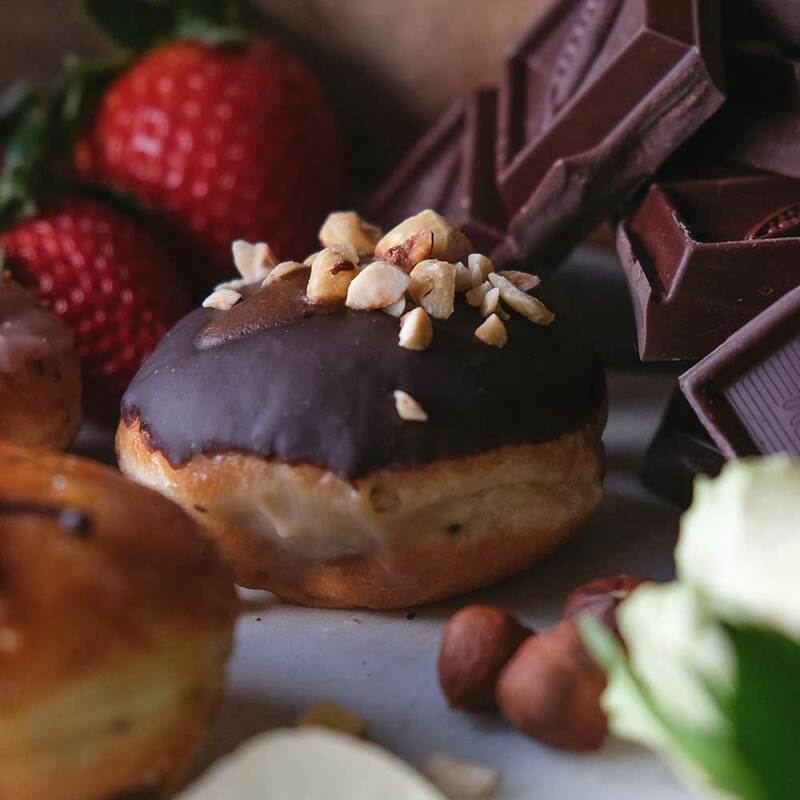 Whilst they are still made in the same bakery, all equipment and surfaces are sterilised before the vegan doughnuts are made and then fried in separate oil. We produce all of our doughnuts in a bakery which we own and operate. This bakery uses peanuts and other nuts in some of our products. We have controls within our bakery that separate nuts and peanuts from other ingredients, and limit the ability for contamination. However, given we hand make an unsealed product, we cannot guarantee that our doughnuts have zero contact with peanuts or nuts.